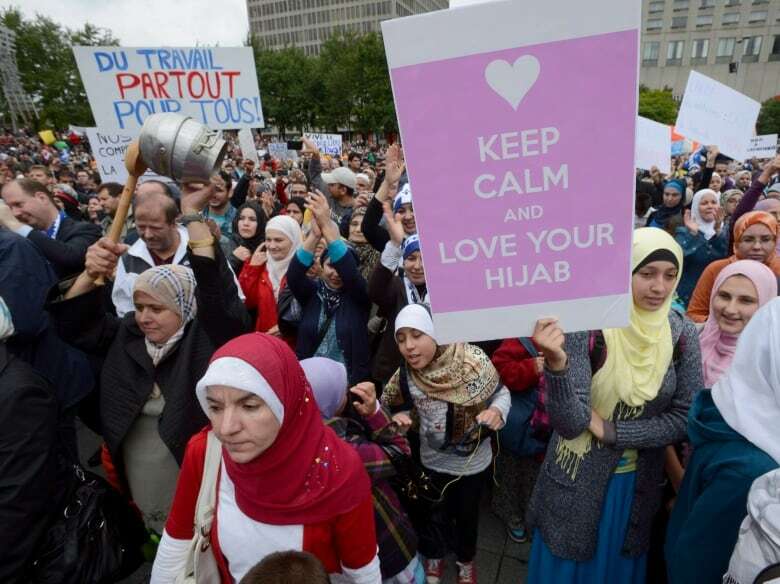 A new law that would effectively force Muslim women who wear a niqab or burka to uncover their faces to use public services is based on a principle "the vast majority of Canadians, and not just Quebecers" can agree on, Premier Philippe Couillard says. The law prohibits public workers — including doctors, teachers and daycare employees — as well as those receiving a service from the government from covering their faces. It was extended to municipal services, including public transit, in an amendment made in August. The Liberals, who hold a majority in provincial parliament, voted in favour of the bill, while all the other parties voted against. The two main opposition parties, the Parti Québécois and Coalition Avenir Québec, have argued the legislation doesn't go far enough, while civil rights advocates and Muslim groups argue it discriminates against religious minorities. While the niqab and burka are not mentioned in the legislation, Quebec Justice Minister Stéphanie Vallée said earlier this week the bill aims to clearly establish the "neutrality of the state." The bill provides for the possibility of religious accommodation in certain cases, leading critics to question how far reaching it will actually be. It remains unclear how religious accommodation requests will be evaluated. The province will work with public services, including municipalities, schools and public daycares, to establish guidelines for how it will be enforced, Vallée said. Those may not be ready until next summer. Montreal Mayor Denis Coderre, who is in the middle of a municipal election campaign, has been an outspoken critic of the bill, accusing the provincial government of overstepping its jurisdiction and ignoring his city's multicultural character. On Tuesday, he said there are "serious problems" with how it would be applied. Religion and identity became a key issue in the last election after the Parti Québécois put forward a contentious proposal for a charter of values, which would have banned public servants from wearing obvious religious symbols. The National Council of Canadian Muslims issued a statement saying it was "deeply concerned" by the new law and that it "boils down to ugly identity politics" ahead of the 2018 provincial election. Zayneb Binruchd, a 21-year-old Montrealer who wears a niqab, said she would rather stay home than take it off to ride a bus. "I go to mall with my friends, I go out, I go to the library, so it will just make me stay home," she said. "I don't have a car, I don't have anybody to drive me around, so it will just block me from the rest of the world." At the federal level, NDP Leader Jagmeet Singh said he's "completely opposed" to the law, and he's confident the legislation will be challenged. Prime Minister Justin Trudeau said the federal government does not interfere with provincial laws, but will work to ensure the rights of all Canadians are respected. "I will continue to work to ensure that all Canadians are protected by the charter, while respecting the choices that different parliamentarians can make at different levels," he said. "Yet here at the federal level, we stand up for the rights of all Canadians." Julius Grey, a prominent Montreal-based civil rights lawyer, called it a "terrible law." "I think it's an unconstitutional law as well. It's virtually certain to be set aside whole or … possibly in part," he said. 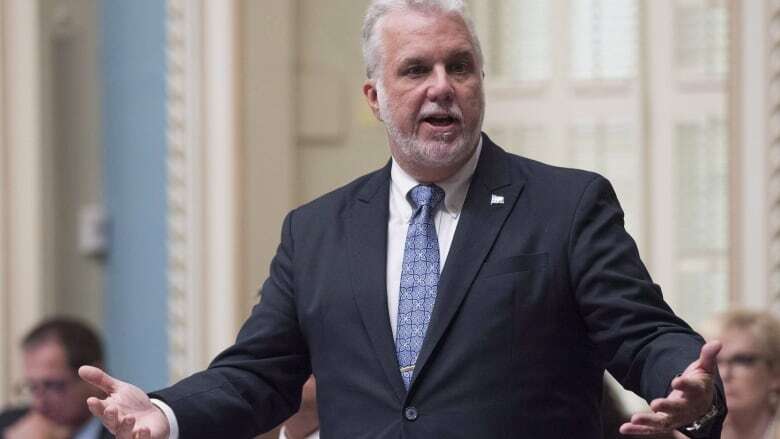 Couillard acknowledged the law could face a legal challenge, but said it was crafted to be compatible with the Canadian Charter of Rights and Freedoms, as well as the Quebec Charter of Human Rights and Freedoms.